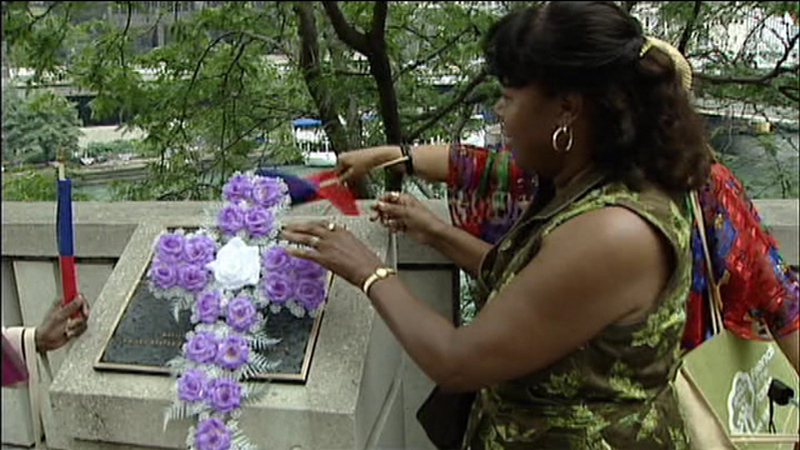 CHICAGO (WLS) -- A memorial ceremony will be held Wednesday morning to honor Jean Baptiste Point du Sable, who is considered the very first resident of Chicago. The ceremony marks the 197th anniversary of the explorer's death. DuSable is believed to have come from Haiti. There's a wreath-laying event at 11 a.m. in Pioneer Court along North Michigan Avenue near the Chicago River, where he first settled. Plans are in the works to build a DuSable Park to honor him.